Fantastic Four is the third attempt in history to adapt Marvel’s First Family to the silver screen, including Roger Corman’s unreleased version from the 1990s. Like those previous efforts, it is a complete bust. However, unlike other reviews, I wouldn’t go far as to say it is a completely irredeemable train wreck that should never see the light of day. If anything, there are elements that the production team gets right but also even more elements that they get wrong. 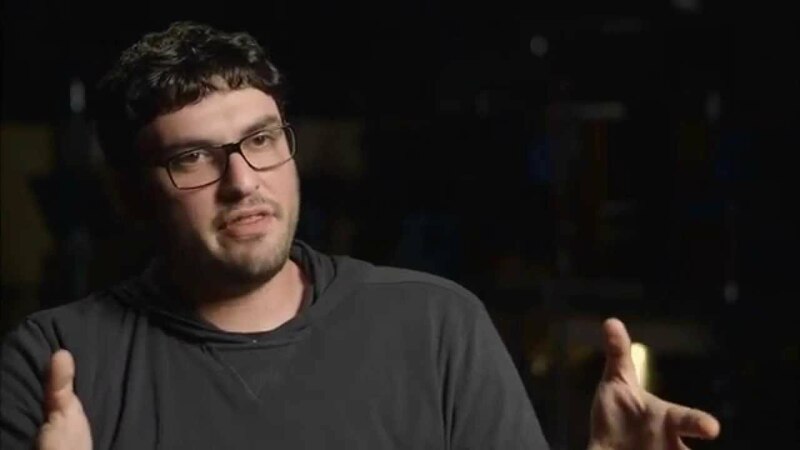 Things aren’t helped by the fact that various allegations have been levied against director Josh Trank who also recently departed helming a Star Wars spin-off for Lucasfilm. By the time the credits roll, one is left wondering what 20th Century Fox really wants from adapting this material again and again every few years. The film begins with a somewhat interesting portrayal of Reed Richards (Miles Teller) and Ben Grimm’s childhood friendship. Reed’s unconventional genius is largely ignored by his peers and teacher but Ben (Jamie Bell) sees something in his fellow kid. They then begin to work together on Reed’s ambitious project: a teleporter. From this point onwards, it is clear that the film takes its origin story cues from the Ultimate Fantastic Four run of Scottish comic book writer Mark Millar, who was a consultant on this project. We see the various characters interact, showing off the cast’s chemistry, and it is in these small moments where the film really triumphs. This isn’t really surprising since these small moments were also the best parts of Chronicle, Josh Trank’s previous film. All in all, this amounts to a decent first 30 minutes or so which are, sadly, the best minutes of the film. What follows is a strange roller coaster ride of interesting highs and too many embarrassing lows. The film faces an internal crisis of what it wants to be, creating an unnecessary Dissociative Identity Disorder for itself. Does it want to be a coming-of-age young adult story about teenagers getting superpowers who get exploited by the government but eventually fight for their independence? Is it a cautionary body horror tale about the moral boundaries of science? Perhaps it’s a thriller about the race to build the first functional interdimensional traveling machine? 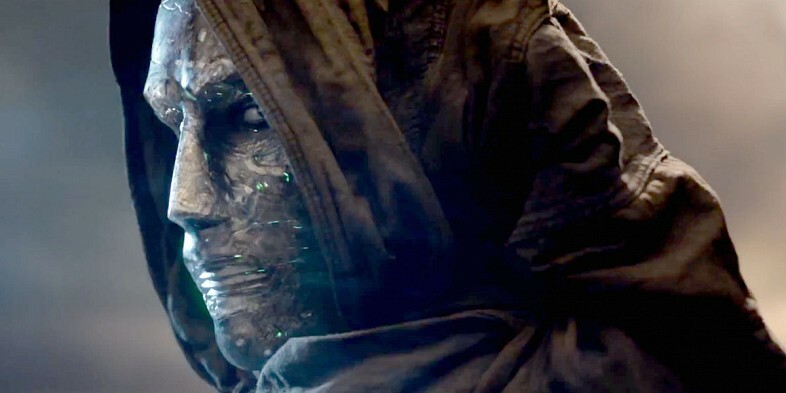 Or is it really an adaptation of the Fantastic Four coming together to fight Doctor Doom? Strangely enough, the answer to all these questions is yes, and at the same time. At the center of this whole mess is director Josh Trank. His seemingly harrowing experience directing this film has been the non-racist centerpiece of this troubled production’s media coverage. His alleged callous remarks and erratic behavior onset is reminiscent of Francis Ford Coppola’s legendary hair-pulling experience trying to finish Apocalypse Now in the Philippines back in the 1970s. Combine that with Fox’s disturbingly unusual perseverance to keep the whole production under wraps away from curious journalists and you get a brewing “he said, she said” battle based on recent developments. This makes it difficult to pinpoint any flaws in the film that could be directly attributable to Trank. Still, the director should have stood his ground as whatever remarkable footprint he left on the final cut has been severely mangled. Another unfortunate aspect of this fiasco is the waste of a great cast. 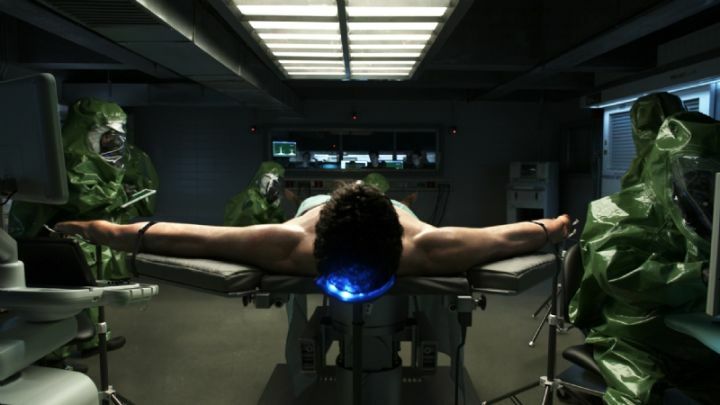 As shown in the film’s smaller moments, this cast had the potential to be the defining portrayal of a 21st century Fantastic Four. Instead, the characters were hardly given any development to work with beyond petty teen angst and hurt feelings of friendship. Again, just like Chronicle. This results in undercooked character arcs that is not worth their time. Special mention goes to Kate Mara who, despite being the only female character, ends up getting the worst material with her Susan Storm being nothing but a cipher. Overall, there is a great film here in the fringes. Josh Trank was really onto something unique and different with his pulpy sci-fi tale about a bunch of teen prodigies, peppered with visceral David Cronenberg-style body horror. Unfortunately, the director is clearly out of his league and got swallowed by the whole endeavor. We can’t really say for sure who did what but it is safe to put collective blame on everyone involved: from Josh Trank all the way down to the lowest decision-making suit at 20th Century Fox. In fact, at this point, I’d be much more interested in seeing a Hearts of Darkness style documentary about the troubled history of this film’s production cycle rather than this reboot again.